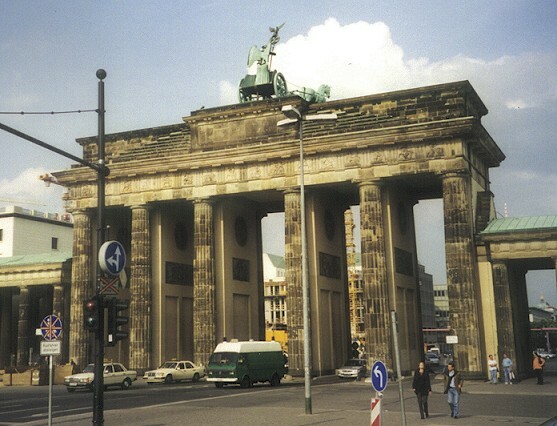 Brandenburger Tor (Brandenburg Gate), Berlin , was commisioned by Friedrich Wilhelm II to represent peace. It was designed by Karl Gotthard Langhans and built in 1791 . The gate is about 70 feet in height and 200 in width. It is perforated by five different passageways, the central one being reserved for carriages of royalty. The Brandenburg gate is probably the most well-known landmark in Berlin, it now stands as a symbol of the reunification of the two sides of this great city.